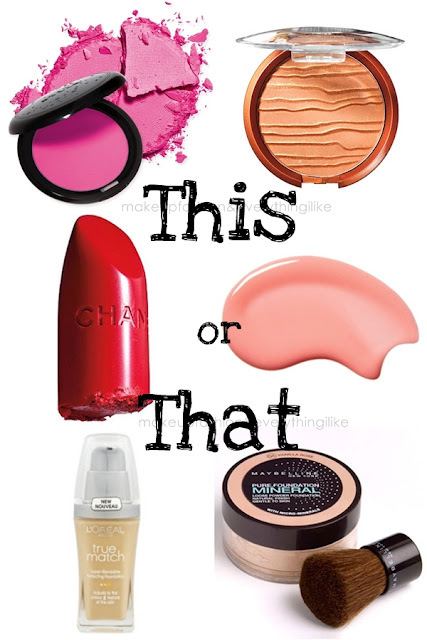 Giveaway dose: This Or That... I'm Tagged!!! Matte or Sparkle eye shadow ? Gel,Liquid,Cream or Pencil eyeliner ? Liquid or Powdered Foundation ? Winged or Rimmed liner ? Neon,Pastels or Glitter nails ? Go for Manicures or Manicure yourself ? Flip flops or Sandals ? Bobby pins of Butterfly clips ? Hair spary or Gel ? Hi Prerna, Thanks for dropping by and your comment. BTW I really enjoyed reading this tag and wish to steal it form you and post a bit of mine. What do you think?